Get an in-depth introduction to the stunning, colonial-built coastal city of Galle on this attraction-packed, one-day tour. 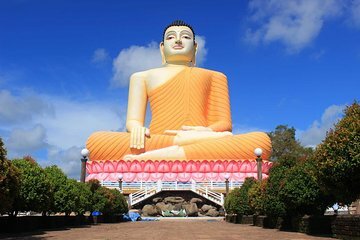 Highlights include the iconic Dutch Fort, a safari cruise along the river, and stops in the palm-fringed beaches of Unawatuna and Roomassala Jungle. You’ll also enjoy round-trip hotel transfers, so you can settle back and relax.